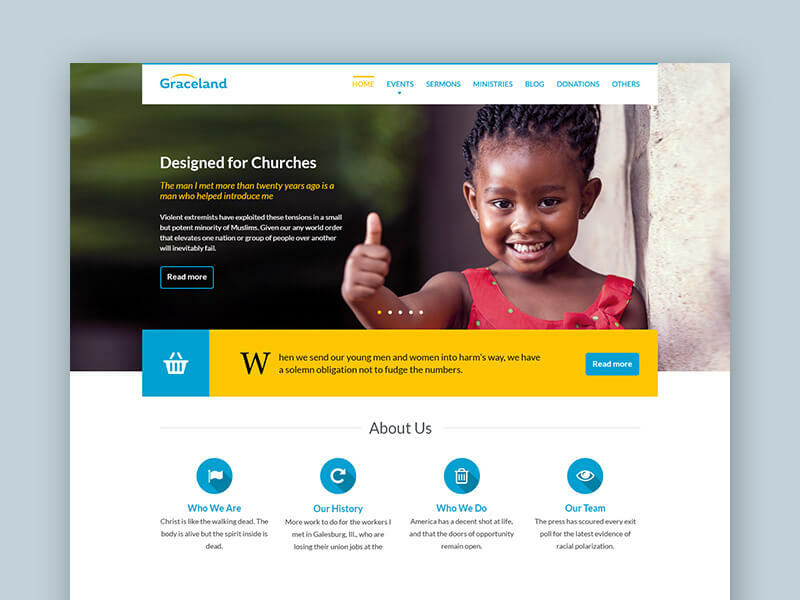 Graceland is an excellent Church & Charity PSD template based on responsive Bootstrap 3.1. In Graceland you can create PayPal Donation campaigns, Events, Sermons, Galleries, online Shop with WooCommerce. Original Graceland WordPress theme is based on LiveComposer pagebuilder and it’s available for free download.